Looking for drone websites for reviews, guides, and entertainment? You’ve come to the right place! 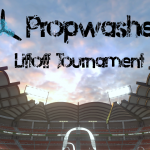 While we at Propwashed post a few articles a week, we know that people are always hungry for more content. However, we haven’t found a good all-in-one list of quadcopter and racing drone related websites. We wanted to create a community resource that consolidates down the list of drone websites so you can spend more time reading and less time searching. 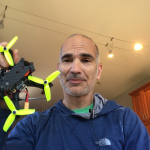 While we cover video content briefly in the online groups section here, YouTube is its own beast when it comes to quadcopter and drone racing content. If you specifically want to find more YouTube channels to follow, check out this article. 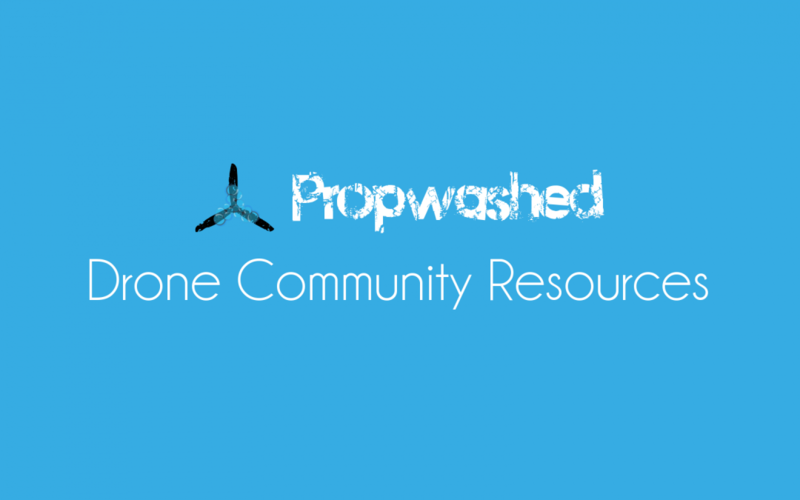 Like Propwashed, these sites focus on delivering drone articles to you on a consistent basis. These range from sites that review the latest products to more editorial driven content. Obviously, due to the variety within the hobby, the subject matter on each of these sites can vary. We’ve tried to note below the general content of each site. This should give you a jumping off point for finding more content to read. These are all English language websites. Talking to other people is a great way to make new friends in the hobby and diagnose hard to figure out problems. If you have a popular component, there will be multiple threads on RC Groups asking questions or providing reviews. Additionally, multicopter Facebook groups have exploded in popularity and provide a great resource for sharing and discussion. Looking to race? Meetup.com is a great way to find other drone racers that are interested in racing. Similarly, searching for drone racing groups on Facebook around your location is a quick way to find active groups. Moreover, you can always take the initiative and start your own drone racing group using these same tools. Need help getting started? Check out our guide on organizing a community race event here! RC Groups: Amazing forum for troubleshooting, finding reviews, and general RC discussion. FPV Lab: Another great forum that provides in depth technical information for a variety of FPV specific setups. Meetup: A great way to find local pilots. Search for or create your own events easily. Some community race groups operate their organization completely off Meetup. YouTube: We mentioned this above, but YouTube has a massive FPV community putting out great content. If you need help finding channels to watch, check out this article. Reddit: There are multiple subreddits that focus on all things RC. R/multicopter is the largest general sub, but you can find a ton of different resources across the site. Multicopter subreddit: general subreddit, mostly focused on miniquads. Largest racing drone specific sub on Reddit. Multicopterbuilds subreddit: focused on building and troubleshooting. Radiocontrol: more general to RC, including cars, planes, and boats. FPV: Mostly FPV related freestyle and racing. 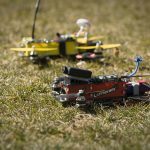 FPV Racing: drone racing related subreddit. Finally, vendors can be a great resource for researching new products and price comparing. Additionally, smaller online retailers usually can be reached by email or phone to ask questions about components before buying. Curious about what additional wires or connectors come packed with a flight controller or how compatible it is with your setup? Many vendors are happy to answer questions and assuage fears before you hit that purchase button. If you do approach a vendor with questions, try to be as direct and concise as possible. You don’t want to get into an endless back and forth email chain or waste time on the phone. This is extremely important if you are approaching a vendor that may not speak English as their native language. Make it easy for the vendor to answer your question. As always, if you have one available, we recommend using the services of a local hobby store. These people are passionate about what they do, and are usually worth paying the premium over ordering online if you want more hands-on service. Additionally, if you are completely lost, they usually have more time to help you out if you have time to come to the shop. Our choosing a retailer page has more on weighing the different options for purchasing your components. Looking for a miniquad vendor? Check out our list of quadcopter and FPV drone racer vendors here!